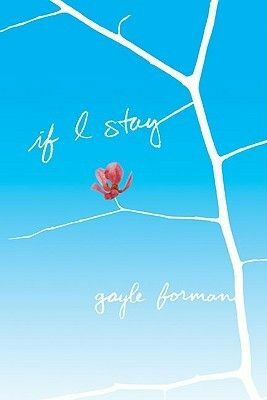 If you're looking for a quick, dramatic read, you should check out If I Stay by Gayle Forman. I couldn't put it down -- but that was okay because it was nice and short! I was able to devour this book in just a couple sittings, despite my packed schedule. One of my favorite websites, Goodreads, provides wonderful synopses of books. I am so glad I stopped wasting my time writing about the plot of novels I read. Borrowing from them is much more convenient, and it leaves me more time to simply give my opinion. Overall, If I Stay is a novel that will stay with me for a long time. Immediately, I put myself in the narrator's shoes. I was completely engrossed with the topic of being barely alive and not completely comprehending the events around yourself. My own mortality is something that fascinates me. I don't mean that in a weird way at all, like I think about dying. I absolutely do not. I am a curious individual, though, and that curiosity gets the best of me. Often, when I am in seemingly dangerous situations, I wonder what it would be like. What it would feel like. How quick it would be. This novel hooked me in from the very beginning, and I highly recommend it to everyone. Hello! That is great that you're looking for military blogs. The community is very helpful because you'll get all kinds of different perspectives. 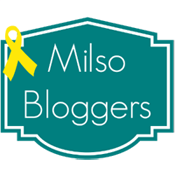 From looking at your blog, I see that your husband joined the Air National Guard -- that's awesome! My fiancé was in that before he applied to the Air Force Academy. We aren't married yet, but we've been together for over four years, and we've dealt with the Air Force every step of the way (he was already in when we met). The lifestyle is certainly a challenge, but it is also very rewarding. I'm glad you found my blog!